I admit that sometimes I get stuck in my ways and change becomes a bad word. It’s not that I am apposed to change. I enjoy comfort. However, in my experiences, I have learned that change is needed when you are the most comfortable. It is only then that you truly grow. We see Pastor Bullock make his case to the Detroit City Council on why he should be one of them. Even with the support of members of his congregation, his bid for a seat on the City Council fell short. I had a feeling he wasn’t going to make it. The intensity by which he pursued this post exposed his flaws. It was refreshing to see him at the table with Bishops Langston and Ellis a bit more subdued. He was no doubt disappointed but patient and receptive. If Bullock wants to pursue a City Council seat, now is the time for him to change some of his methods. More often than not, change is painful as in the case of Pastor Shelby’s eldest daughter. After much declaration of saved lifestyle, it was revealed that she lost her virginity while a teem. She didn’t run form the truth when it came out. In fact, she embraced it. She changed the perception of her personal failure. From a painful memory to a valuable lesson to teach. Her ability to change a positive to a negative may prove valuable to all young people. 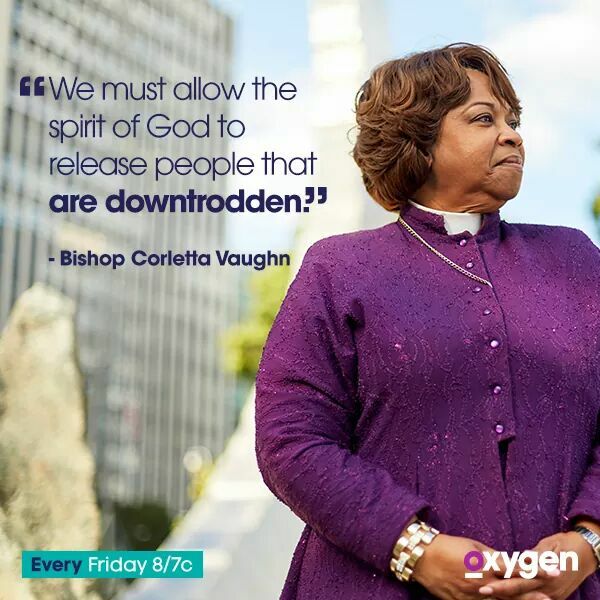 Yet her parents may have the toughest time changing and Bishop Corletta Vaughn is the symbol of that change. The Shelby’s and the Vaughn’s went out to dinner together and I knew this would be a clash of ideologies rooted in their very beliefs. You could already tell throughout the season that Bishop Vaughn being a woman and serving with that title and authority was an issue for them. It is an issue in a most churches. Not just in Detroit but worldwide. Bishop Vaughn has been a force for women’s rights for years whereas Pastor Don Shelby Jr, Is a traditionalist.. Pastor Shelby believes in a woman’s place is by her husband’s side and defiantly not in the pulpit. He even said “I wanted to marry a woman and not a Bishop!”. Mrs. Shelby has the greatest problem with this. Bishop Vaughn is the total opposite of herself. It became obvious during their discussion, Mrs. Shelby became defiant. Not because of anything Bishop Vaughn said, but because Bishop Vaughn represents a direct challenge to the Shelby lifestyle, Bishop Vaughn represents a mirror of what Mrs. Shelby could have become. What dreams or goals did little girl Shelby have that were put aside in favor of becoming Mrs. Don Shelby? As I watched this heated discussion, I realized Hilary Clinton is going to have to have the same discussion with America. If Hilary Clinton wants to win the White House, She has to follow Bishop Corletta Vaughn’s lead and convince America that change must come again. Time has come for women to use their gifts and talents on the same platforms as us men, How long are we as men going to continue to blame the daughters of Eve for the apple? How long are we going punish the women for our absence of paradise? Its time to embrace change. Adam and Eve were kicked out of Eden together for they both ate the apple and only by working together as equals can we get a piece of that paradise back. Holla if you hear me!